Rugged, raw, and completely wild! Landscapes in Northeast Oregon are described as extreme, raw, rugged and completely wild, and yet absolutely breathtaking. 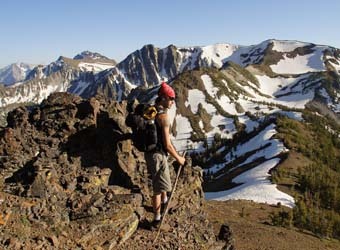 The Wallowas are the most scenic mountains of the Blue's mountain range, with snow-capped peaks, dramatic river canyons, and classic glacial topography. Because pioneers found the terrain so rugged, early settlement of northeast Oregon, specifically, the regions of Hells Canyon and the Wallowas occurred slowly. The beauty of this area continues today with a slow mystical appeal to most, almost magical. The natural history of this rugged country is fascinating and it continues to capture the interest of photographers, naturalists, and yes, geologists from all over the world. 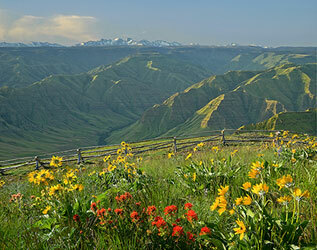 Did you know Hells Canyon is the deepest canyon (river gorge) in North America, deeper than the Grand Canyon? 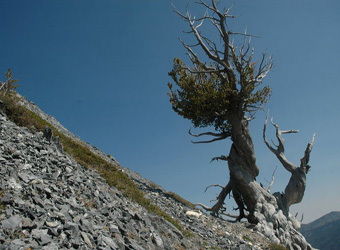 or that Oregon's oldest tree, an ancient limber pine, is living in the Wallowas? 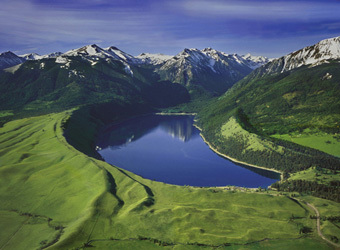 or that the Wallowa Lake moraines are recognized worldwide as a classic moraine land formation? Dr. Ellen Bishop, geologist and director of Wallowology, refers to all of this dialogue as the wild science of the Wallowas! Wallowology, Wild Science of Wallowa County! 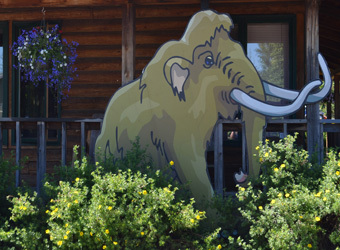 A new discovery center in Joseph Oregon focused on the natural history and science of the Wallowas, Zumwalt Prairie, and the rugged Hells Canyon. Seasonal hikes included and hands on activities for kids. The Wallowa Outings & Lecture program is a seasonal program open to the public and led by local expertise. 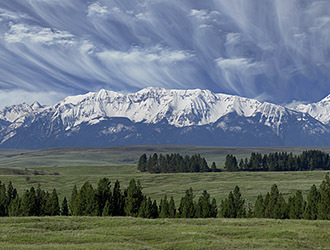 The natural history and beauty of Wallowa Country is linked to the challenges of landuse and conservation. The Nature Conservancy Zumwalt Preserve! The Zumwalt, is the last of the bunchgrass prairie's still intact, and is one of Oregon's premier sites for birding and viewing wildlife. Herds of elk are frequently viewed from the road and its a real haven for raptors. There are several professional outfitters available to pack people and/or supplies to campsites in the Wallowa Mountains or Hells Canyon.